Laser soldering has established itself as a single soldering process in recent years and increasingly replaces conventional soldering processes. Nevertheless laser soldering is expensive and the large advantages of laser soldering also present disadvantages. With the correct laser soldering technique the costs are under control and the disadvantages can largely be removed. In this case solder and soldering flux are of decisive importance. 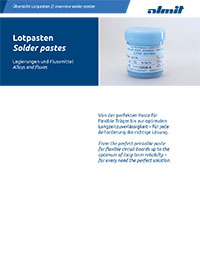 In electronic production nowadays several selective soldering processes are in use. Here we must decide between the selective soldering processes, which can be derived from wave soldering and single spot soldering processes, using soldering wire. Whilst soldering irons continue to dominate hand soldering as before, in automatic soldering they are increasingly replaced by the two contactless soldering processes of induction soldering and laser soldering. In induction soldering the two work pieces to be soldered together are heated directly, effectively from within. This takes place through induced eddy currents. When soldering on printed circuit boards with small solder points, induction soldering is less well suited. The induction loops available are too large for very small solder joints, as are typical on printed circuit boards. In addition there is a danger the high frequency radiation will damage the sensitive circuits. 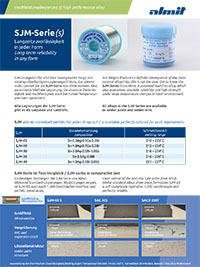 Even the smallest solder joints on printed circuit boards can be soldered by laser soldering. Soldering wires of 0.3 mm can easily be used. In the meantime Wolf has introduced a special advancer driven by piezo-electric elements for smaller diameters between 0.3 and 0.1 mm. 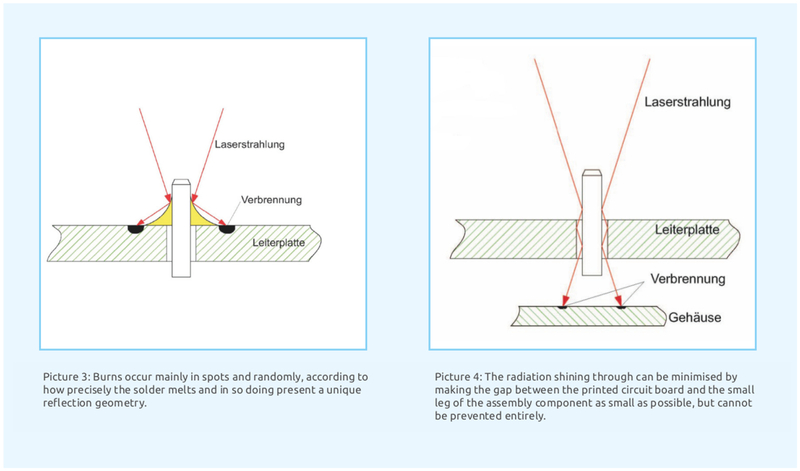 The laser shines on the soldering joint and pre-warms both areas to be soldered as evenly as possible. The part of the soldering wire in the laser beam is pre-melted at this time (Picture 1). The now softened soldering wire is introduced and melts off completely on contact with the pre-warmed area to be soldered (Picture 2). A molten region forms into which the required amount of solder is introduced. soldering errors through interruptions in the solder flux core in the soldering wire. The first three points are typical in laser soldering, the fourth point is also an obstacle in all soldering processes using solder wire with soldering flux core. The following conceptual approach was selected for reducing the typical burns. Instead of using one laser beam, soldering takes place with six laser beams from different directions. In this way the intensity of radiation for potential burns is reduced to one sixth. The optical outlay is naturally considerable, as six individual optics are required. In addition these must be installed adjustable to one another. However we have succeeded in accommodating these in a compact soldering tool (Picture 5). 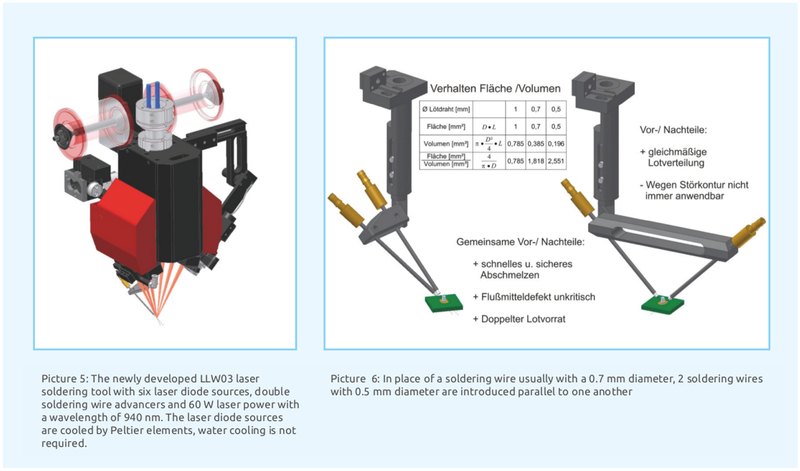 With the LLW 03 the individual laser beams can now be optimally adjusted to the geometry of the solder joint for be soldering. All six optics are fed from different laser sources, which in each case provide a maximum laser power of 10 W. In total we have a laser power of 60 W for soldering. These relatively low-power laser sources have a 10 times longer working life than the well-known high performance laser diodes in conventional technology. 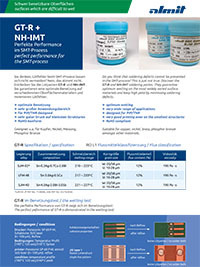 According to application, the MTBF (mean time between failure) even lies at 250,000 hours of operation. In this way their running costs are lower than that of iron soldering, as in this process wear and tear of soldering tips causes costs which are not to be underestimated. 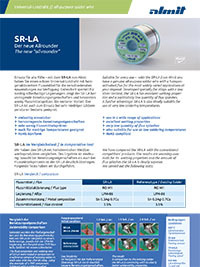 Laser sources with double the power are an option and available for high performance. In order to protect the complex optics from dirt, easily ex- changeable protective glasses are provided. 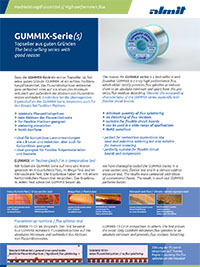 Frequency of cleaning depends heavily on the characteristics of the soldering flux in the soldering wire. Soldering flux splashes cause heavier dirt and in this way lead to increased cleaning costs. The problem of interruptions in the flux in the soldering wire was solved by introducing two soldering wires at the same time (Picture 6). 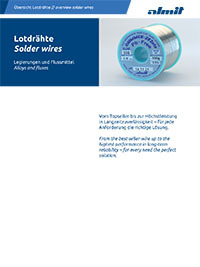 Experience has shown that for a limited period of a few seconds good solder joints can also still be achieved with a small quantity of soldering flux. It is unlikely that both soldering wires have an interruption in the solder flux core at the same time. That means there is always at least 50 % of the soldering core present. 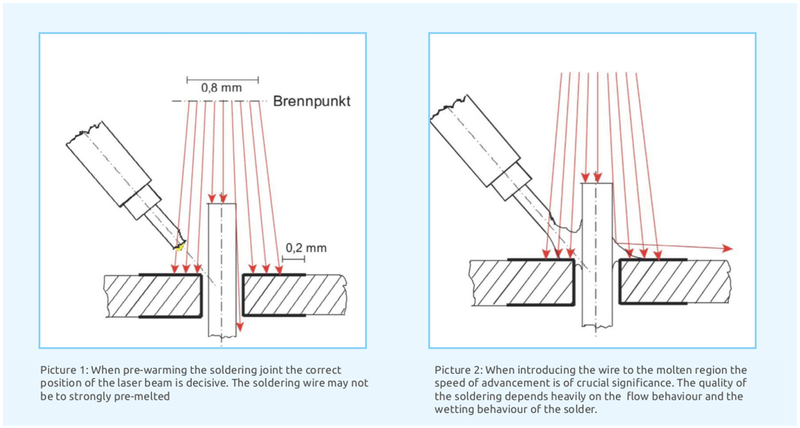 however for many types of solder joint, also with very small soldering joints in particular, introducing two wires is not possible. There is insufficient room to accommodate them. the constancy of the solid content of the soldering flux core.